Lodge Service, the leading security company, has appointed Ian Mason as Business Development Manager. His focus will be the growth of the security consultancy’s Lodgic monitoring service, based at the Redditch ARC and intelligence centre. Ian will be identifying the needs of facilities and security managers in the retail, office and public sectors for loss prevention, guarding, investigations, staff screening and mystery shopping services. 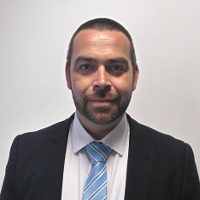 Ian Mason has wide experience of the technology sector and a background in manned guarding. He has worked in retail environments to reduce stock losses in high-risk city centre stores and retail parks. Applications include internal auditing, data mining, and investigating and security compliance.